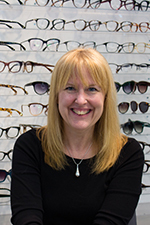 Susan puts her 30+ years of experience into practice each day at Kenmark Eyewear, a fashion based eyewear provider. Her knowledge is extensive across all levels of social compliance, trade, import, and the entire supply chain, but the passion she brings is what's most commended. As an industry authority, she works each day to maintain social compliance initiatives across all spectrums of the business. Sue Downes is driven today by the same goal that inspired her to co-found the company 15 years ago. From one office in 2001, she has led the growth of MyEyeDr. brand to almost 300 locations across the Mid-Atlantic and southeast, with more practices joining every month. Sue has built a brand that is as unique as she is and has created a brand identity for MyEyeDr. Her real skill is in her ability to share that vision with her team and instill that same commitment to the profession that she has demonstrated over the past 30 years. Sue had an extensive career in the industry before starting MyEyeDr. 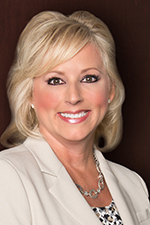 She was the Director of Managed Vision Care with Hour Eyes and Eye Care Centers of America. In April of 2015, Sue was named CEO of MyEyeDr. In addition to her work managing MyEyeDr. offices, Sue served on the advisory board for the Colombia Lighthouse for the Blind & Visually Impaired, and is a past board member of the Montgomery County Chamber of Commerce. She is the recipient of several prestigious honors including, Montgomery County Chamber's "Spirit of Free Enterprise" award, one of Vision Monday's "Most Influential Woman in Optical" in 2011, the 2012 smart CEO award for Entrepreneurial spirit, the 2015 ACG Corporate Growth Award, and was named the Optical Women's Association 2016 winner of the Pleiades Award. Marge Axelrad — "CONNECTABILITY" — How Can You Create a Network? In today's world, "connectability" often means digital connections. But to advance in our professional lives, the power of a network of personal contacts can't be overstated. What are your opportunities to network? How do you build connections, within your own company and with others outside? 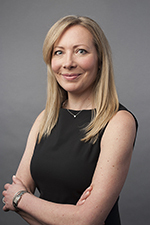 Axelrad joined Jobson in 1988 when she was named editor-in-chief of Vision Monday and her role at Jobson has since expanded to senior vice president and editorial director of both VM and 20/20. With 29 years of experience as an eyewear and vision care market observer, columnist and frequent speaker about optical industry issues in the U.S. and internationally, Axelrad oversees Jobson's coverage of industry developments via Vision Monday, VMail, VisionMonday.com, and VM's Global Leadership Summit. 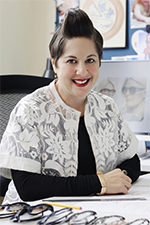 VM's various e-initiatives, such as DBA, CLICK and other special reports, such as the VM Top 50 Retailers and VM's Most Influential Women in Optical are also under her overall direction, overseen by VM Staff. 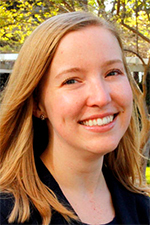 She is also the editorial liaison for the Jobson Research Group. Axelrad is a founding board member of the Optical Women's Association and was honored by the OWA in 2013 with its Pleiades Award. 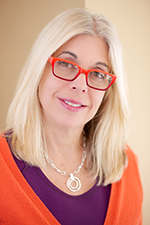 In 2008, Axelrad was recognized by the Accessories Council with its "Hall of Fame" Award and in March 2011 she was honored by SUNY's Optometric Foundation. She also served on the national board of Prevent Blindness America (2009-2013) and currently serves on the board of trustees of SUNY-Optometry's Optometric Center of NY Foundation. This past March, Axelrad was honored by Prevent Blindness as its 2017 "Person of Vision." A graduate of the University of Rochester, Axelrad started her business journalism career first as an editorial assistant and then as reporter and editor covering the fields of men's apparel, home furnishings and department store retailing. Ms. James successfully guides the brand positioning and marketing of one of the best-known optical lens brands. After joining Transitions Optical, Inc., in 2011, she was promoted multiple times until, in 2014, when she took on the role of Vice President of Marketing. Then in 2016, she became Vice President of Consumer Marketing. With an impressive professional background in developing and executing trade and retail marketing programs, maintaining business and research partner relationships, and implementing organizational marketing strategy, in addition to an educational background in chemical engineering and business management, Sherianne will be sure to inspire all attendees of the June Tuesday Talk. "Time is currency. Only you can establish the value of your personal and professional time." Ashley Mills leads The Vision Council, the industry's association for optical suppliers and manufacturers. In this role, she works to elevate awareness of the importance of vision to the public, and is deeply committed to cultivating strong, effective partnerships throughout the optical arena and in adjacent sectors. 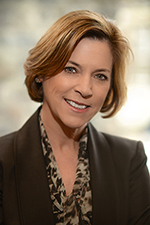 She brings over 20 years of progressive communications, philanthropy and trade association experience to The Vision Council after several years in both consulting and association roles with major associations including the National Restaurant Association Educational Foundation and the Council on Foundations. After serving as The Vision Council's director of marketing & shows from 2003-2006, Ashley returned to The Vision Council in January 2016 to lead The Vision Council's International Vision Expo shows. A graduate of The University of Maryland, she serves on the Optical Women's Association Communications Committee. Ashley and her husband, Jeff, live in Bethesda, Maryland, where they spend their precious little free time monitoring the social media accounts of their two tween children. Kate McIntyre is focused on empowering others to live their best lives. 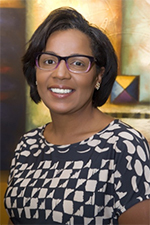 As the Diversity & Inclusion Officer at VSP Global, she partners with business units and seven employee Business Resource Groups to provide employees, VSP network doctors, VSP members, suppliers, and community members with content and engagement opportunities that support an inclusive work environment, connecting patients to doctors, products and services that can best meet their unique eye care and eyewear needs. Additionally, she also develops content for Eyes of Hope, through which VSP Global partners with VSP network doctors to provide access to high-quality eye care and eyewear where it's needed most. A recent addition to the workforce, Kate joined VSP in 2013 after attaining master's degrees in journalism and public health. She lives with her fiancé in Sacramento, California, where they're currently spending their free time getting ready to get married in September. 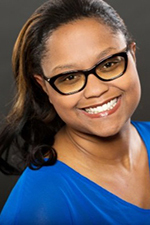 Danielle Bowles started in the optical industry in 2002 working as an ophthalmic technician at a private doctor's office in Maryland. She graduated from the University of Maryland, Baltimore County with degrees in psychology and biological sciences. She worked as a manager for several optical chains while she obtained her ABO and NCLE certifications, and has done everything from lab edging, to running a lane for a doctor, to providing Rx follow-ups, and contact lens fittings. She's currently a licensed optician working for X-CEL Specialty Contacts. Jennifer has been the Vice President of Brand Management for Tura since October of 2012. In her current role, she is responsible for the strategic alignment of Branding, Product, Marketing, and Sales. She leads a team of 10 responsible for brand building, marketing, campaign development, social media, sales promotions, product design, product development, product merchandising, licensing, and new business development. Jennifer's career journey has been varied and non-traditional for the optical industry. She began her career shortly after graduate school with her own business, Eden Hardware, where she designed, manufactured, and sold decorative door and cabinet hardware. Shortly after 9/11, she decided to move to NYC and join the corporate world. She worked in several companies, primarily focused on home fashion product from bath accessories, to luxury gifts, dinnerware, furniture, and lighting. After leaving Ralph Lauren, she entered the optical industry by joining ClearVision Optical as their head of product design and development. In 2012, she joined Tura as one of the four executives responsible for leading the company. Jennifer lives in her home in Brooklyn, NY with her husband Chris and her precocious 7-year-old daughter Elena who is always the "boss" at home. Deborah Shute is an experienced Global Human Resources executive, who has been with Essilor of America based in Dallas, TX since 2011. She is highly skilled in all areas of HR with particular emphasis on strategic business partnering, talent management, change management, and executive coaching. At Essilor, Deborah is responsible for leading HR commercially and operationally for the largest optical lab network in the U.S., Essilor Laboratories of America. She is an Executive Team member of Essilor's ECP Sales & Services as well as EOA Operations and Supply Chain, and leads the Strategic Business Partnering arm of HR for ELOA, Brand, and Partner Labs. Deborah is a founding member and past leader of Essilor's Diversity & Inclusion (D&I) Steering Committee and the Essilor's Women's Network. She was also a member of the Global D&I Best Practices Committee and served as a D&I Global Ambassador. 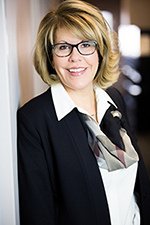 Prior to Essilor, Deborah was Vice President, HR & Administration at Interphase Corporation, and Senior Director, Employee Relations/Strategic Business Partnering at Packard Bell NEC. 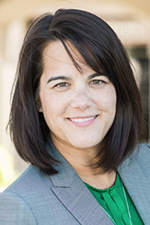 Deborah earned a Bachelor of Science degree in Business Administration from California State University-Sacramento and maintains her professional certifications at both a senior and global level. Jessica Darcy is the founder and CEO of funoogles. She is an entrepreneurial mother of three seeking to create an international brand that revolutionizes the way people view eyewear. She earned a BA in business administration with a concentration in marketing from Fordham University. Jessica worked in marketing while in school, and after she earned her BA. She then earned a masters in early childhood education from Molly College and went on to teach kindergarten. She has successfully invested in various financial and consumer product businesses through a jointly owned family partnership. funoogles is a cultivation of these experiences to fill a void in the multi-billion dollar eyewear industry. funoogles is a patent pending interchangeable eyewear company that allows children to express their creative selves through complete customization. This business was inspired from discussions with Jessica's now 9 year old daughter, Ella-Jane. Ella-Jane was born with a congenital cataract and underwent extensive surgery the summer of 2013 to have it removed. Jessica is 37 and has been happily married for 15 years to her husband Patrick Darcy. They have three children: Lily Anne (11), Patrick (10), Ella-Jane (9). They reside in Long Island, NY. 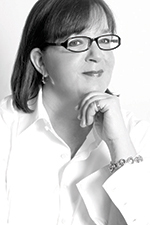 Corinne McCormack is a seasoned executive and entrepreneur who conceived and created a brand of Designer Eyewear in 1993 that carved a new niche in the eyewear industry. Today, Corinne McCormack Reading Glasses are sold in over 2000 stores in the U.S. including Bloomingdales, Nordstrom, and Barnes & Noble. Corinne designed a unique and fashionable line of eyewear accessories that was distinctive in the product design, quality, and packaging. The packaging established her brand in retailers including LensCrafters and Sunglass Hut. She sold her company, FGX International, to the largest manufacturer of reading glasses and popular priced sunglasses in 2009. Corinne understands how to build businesses and make them profitable with limited resources. Her ability to understand the needs and priorities of modern consumers has been translated into her innovative designs and also enabled her to receive 5 patents. She has also been active in many high visibility industry organizations and was the President and on the national board of the OWA for more than 10 years. She received the OWA's inaugural Pinnacle Award in March 2017 for her service and contributions in the industry and was recognized as one of the Most Influential Women in Optical by Vision Monday in 2010.